With news that Chris Evans has, quite publicly, quit as a Top Gear presenter after just one series, ESM reflects on what it means for the show. In a world where someone resigning from a top job has become almost commonplace, that Chris Evans threw the towel in quite so soon after the end of Top Gear’s series 23 is still a little surprising. Faced with falling viewer figures, despite the almost desperate protestations from Evans that they didn’t show the true picture, his position looked untenable. On social media much of the ire of Top Gear viewers was directed at him personally. News of a police investigation over historic accusations from the 1990s were probably the nail in the coffin. Perhaps it’s also proof that the UK hasn’t become completely “anti-expert” in outlook, despite what the recent EU referendum might suggest. Whilst nobody can deny Evans is passionate about cars he isn’t an automotive journalist and, as the lead on a motoring show, that’s potentially a big deal. No, Matt Le Blanc isn’t a journalist, and nor is Sabine Schmitz or even Eddie Jordan, but they weren’t the ones plastered on the front of magazines and across adverts. He was the poster boy for the ‘new’ Top Gear and therefore the one most likely to take the flack if it failed. It won’t have helped that not a week went by without some news story of a producer quitting, in-fighting between Evans and Le Blanc, and the cringeworthy spectacle of him puking his guts after being in-car with Sabine Schmitz. Whilst the latter might have been a way to try to inject some lighthearted humour, and make him appear human, it did little but make him seem unsuited to a job that involves testing performance cars. Becoming emotional and crying his eyes out over the McLaren F1 was also awkward and embarrassing to watch. Evans had an almost unwinnable situation. He would never be Clarkson, yet had the job of anchoring Top Gear faced with an audience almost expecting him, and it, to fail. Whoever was the lead presenter for series 23 of Top Gear would have faced a metaphorical kicking from the media and those who watched each week. To counter that would have needed an almost superhuman dose of personality, knowledge and charm. Sadly, despite all his previous successes, Evans lacked those when it came to a motoring show. For someone who owns a plethora of expensive supercars and classics, he ultimately failed to communicate that passion and excitement in a way that made his features palatable. Contrast that with the successes of Chris Harris and Rory Reid in conveying how a car makes you feel, but with some form of critical analysis, and the gulf between them and Evans becomes all too apparent. From the first episode we complained about how Evans seemed to be shouting constantly and, as the series continued, his voiceovers seemed to also be read with the basic delivery of a primary school presentation. All we can hope is that the BBC uses this opportunity for a quick mid-lifecycle facelift, rather than changing too many component parts. Harris, Reid, Schmitz and Le Blanc have more than enough ability and technical nous between them to continue the show. The almost universal acclaim of Extra Gear proves that in itself. Eddie Jordan adds little to the deal, and seemed more like he was there as the BBC ran down the clock on his contract. Devoting nearly 20 minutes to the “Star in a Rallycross Car” also seemed unnecessary, when Messrs Harris and Reid were bumped to Extra Gear at times. 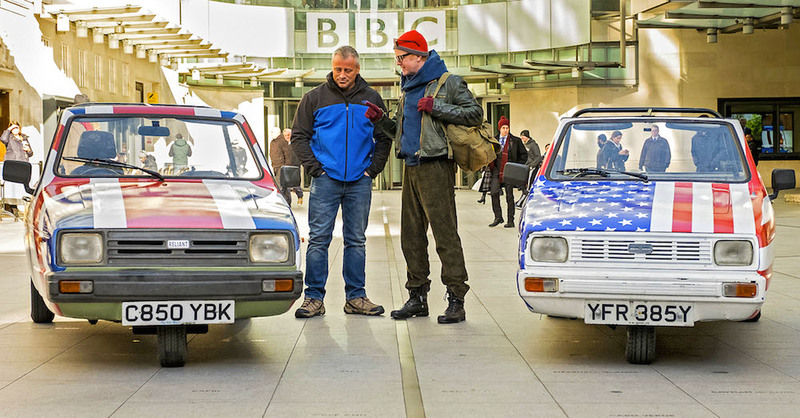 There is still fundamental promise in the Top Gear product and, with Evans now gone as the sacrificial lamb, perhaps series 24 will be able to stand on its own two feet as a real car show. Whether the BBC has the courage, or conviction, to avoid radical unwarranted changes is another matter, however. A good read and one that fully agree with. I tried to watch Chris Evans with an open mind but even from the get-go I found irritating. I am glad he’s gone and I hope the next series of Top Gear will learn from the mistakes made last one and improve. Harris and Reid need to be involved more if you ask me.